Today we take a look at one of the shortlisted names for this years Wole Soyinka Poetry Prize. We also bring you the appointment of a poet laureate for St. John’s, and finally, the airports in Russia getting new names. Last week saw the announcing of the shortlist for this years Wole Soyinka Prize for Literature in Africa. 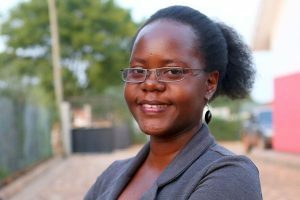 Harriet Anena, the Ugandan poet and author, has been shortlisted for her collection of poetry. Titled “A Nation in Labour”, the book is a collection that is socially conscious political erotica. Anena examines the country of Uganda in the book, as well as its beauty and how it has been caught up in the upheaval of political conflict from the moment it gained independence. These are the “labour pains” of its people. The poems contain raw images from Anena’s childhood experiences, growing up in a country torn apart by war, the disputes over land, the crime and alcoholism. In some of her poems she uses lines that have been taken directly liberation heroes’ statements. On being shortlisted, Anena said that it was an incredibly humbling and gratifying, particularly as the prize is associated with such a big name in the literary world. Established by the Lumina Foundation in 2005, the prize is named in honour of Wole Soyinka, the first Nobel Laureate in Literature to come from Africa. It is awarded on a biennial basis for the best literary work that has been produced by an African writer. It is a pan-African writing prize. On Monday night, councillors at the St. John’s council meeting voted to appoint Mary Dalton as their new poet laureate. The call for applications for the post had only resulted in three applications being submitted and the vote to appoint Dalton was unanimous. Dalton is a founder and a past director of the Literary Festival SPARKS, she is also a professor in English at Memorial University. 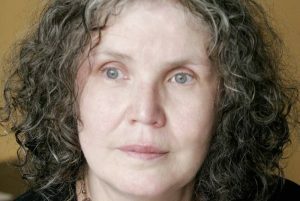 Her poetry has won several awards including the E.J. Pratt Poetry award. One of her books was also shortlisted for the Winterset Award. Yesterday the results of a nation-wide vote were announced, and Moscow’s main airport Sheremetyevo will be getting a new name. The voting had been taking place to rename more than a dozen airports across the country in some of the major cities with the final results being announced on national television. Sheremetyevo will be named in honour of Alexander Pushkin, Russia’s greatest poet. The showcase transport hub airport, Domodedovo, which is also located in Moscow will be named after Mikhail Lomonosov, the 18th century polymath and scientist. Anton Chekhov’s name will be imortalised in the new name of the Yuzhno-Sakhalinsk airport which is located on Sakhalin Island, which is north of Japan. The final airport that will receive a name change is Murmansk Airport, which is located in northwest Russia and will be named for Tsar Nicholas II. It is he who, together with his family, was executed in 1918 by the Bolsheviks. It is expected that these proposed name changes will be signed off by the authorities in due course.